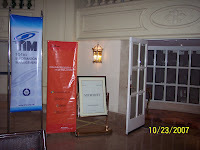 We just had a joint event with Finarch and Microsoft to showcase the Financial Architect Solution. Financial Architect is an application based on Microsoft technology intended for Basel II compliance of financial institutions. It was an early morning event that spanned around 3 hours. 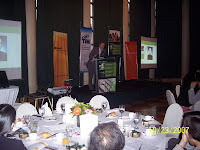 We have a speaker from Microsoft and one from our foreign partner, Finarch, directly from Belgium. The event was successful in a way with respect to the positive turnaround of attendance by representatives of executive management of different banks. 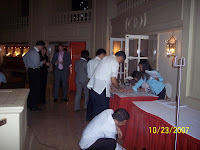 Further, we got positive responses and feedbacks, and we just hope that the Financial Architect solution would penetrate the Philippine market. We would like to thank all our guests for sparing us some time from their busy schedule, brave the traffic due to bad weather, to take part on this event. Kudos to all of you! 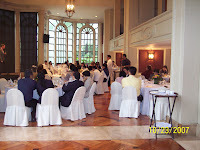 As regards to the venue, We held the event at the Conservatory, Manila Peninsula Hotel located at Makati, Metro Manila, Philippines. 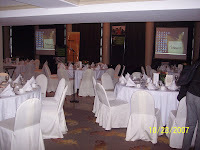 The place is ideal for functions, seminars, mini parties, etc. 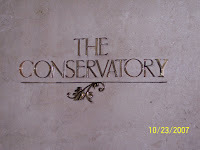 On a regular day, the Conservatory is a restaurant where some of the best bands in the Philippines play soul, blues, pop, retro and jazz standards. The food and the service are okay, sadly, I don't have any idea on rates.